A glass of Rubus, left, and Saison d’Chardonnay, two of the Thirsty Dog Brewing Company’s barrel aged sour beers, on the bar in the space that will become Thirsty Dog’s tasting room dedicated to sour beers called the Sour Haus. *UPDATE* As of 4/16/19 over $10,914 has been raised and there are more than 100 entries. 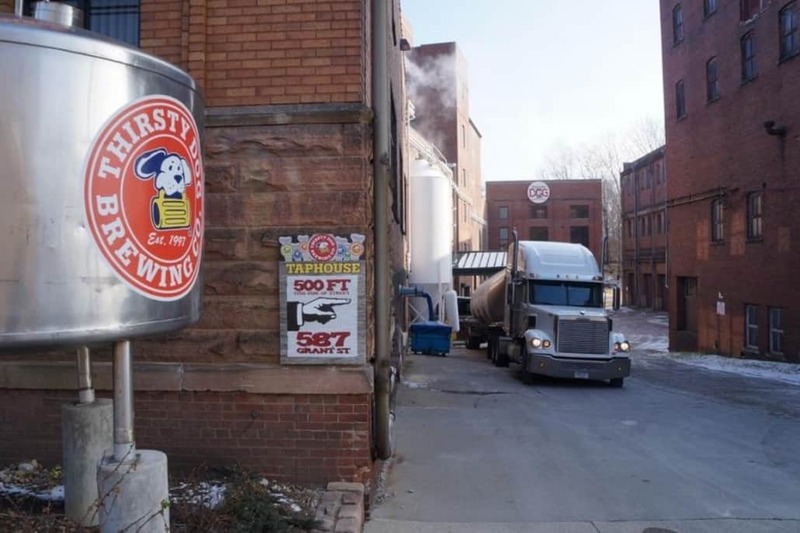 Thirsty Dog Brewing Co. is one of the oldest craft breweries in Ohio, dating back to 1997 when it opened as a brewpub. 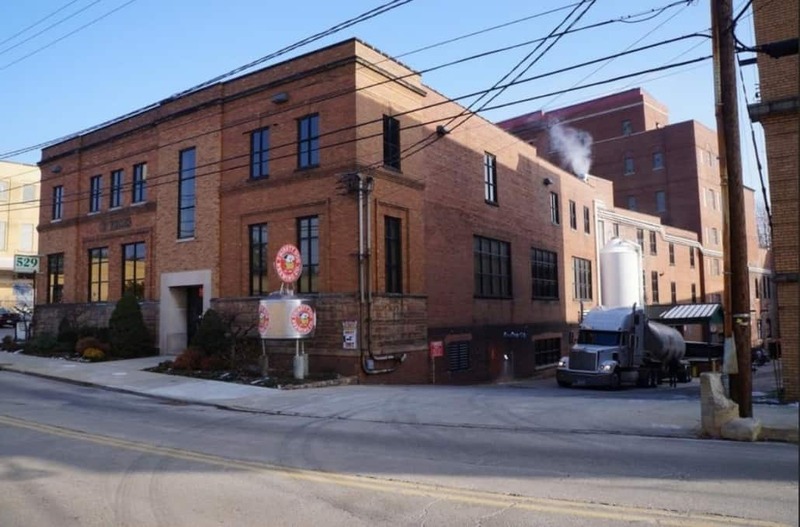 The brewery now operates a production brewery and separate taproom in Akron, along with a brewpub in Cleveland. Thirsty Dog closed its tasting room at the brewery to the general public last year — it’s now open only for special events and Saturday tours. In case you never got a chance to visit, here’s a behind-the-scenes peek at the production brewery. Read More. The tasting room inside the brewery is no longer open to the public. 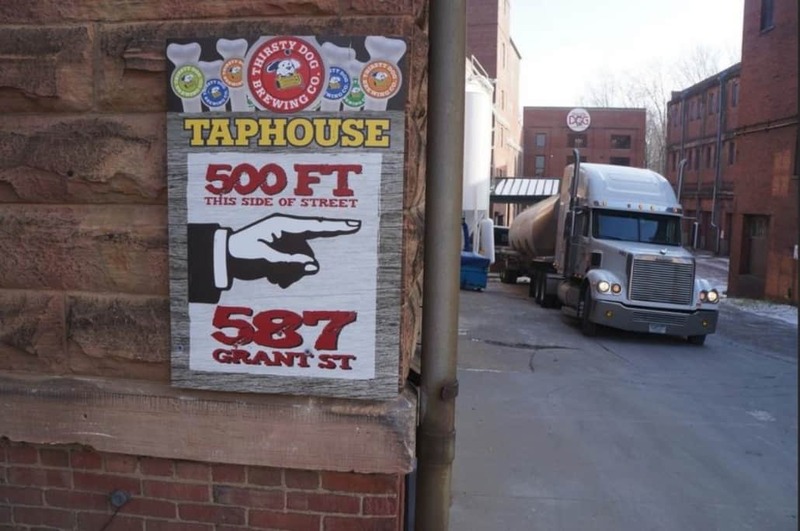 A sign points the way to the new Thirsty Dog Taphouse just down the road. 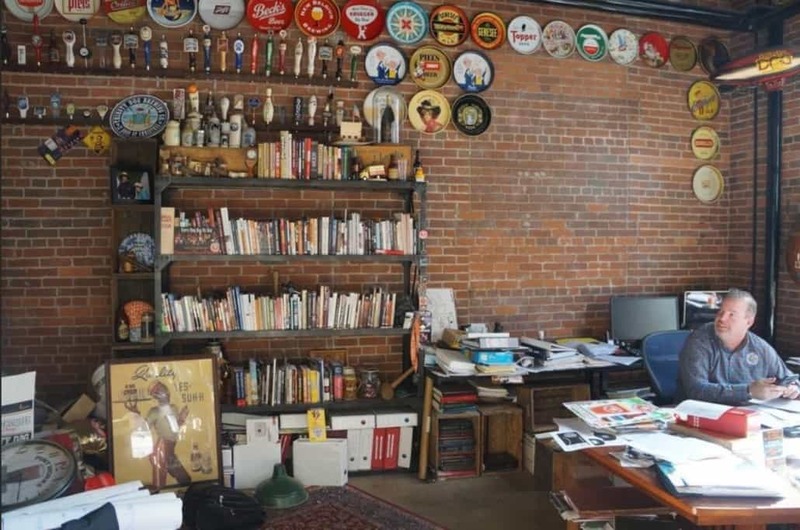 Thirsty Dog co-owner John Najeway’s office is filled with beer books and breweriana such as serving trays and tap handles. Thirsty Dog’s Christmas Ale wins for the 2nd year in a row at the Battle of the Christmas Ales. The competition took place on December 13th at Twisted Burgers & Sushi in Medina.